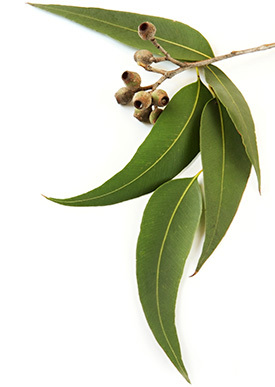 Eucalyptus essential oil is clear in color and is used as a key ingredient in many health care products. 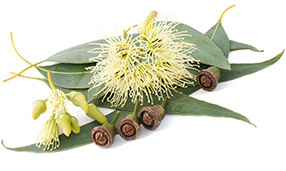 Also known as "blue gum", Eucalyptus globulus is one of the most widely cultivated trees in Australia and is also one of its oldest native medicines. It is now grown and cultivated in many other parts of the world due to its high demand from consumers for the health benefits it provides. It has many naturally occurring chemical components, with eucalyptol being the number one. Eucalyptol is known to be virtually phellandrene-free which makes it soluble in water making it ideal for internal medicinal use. It blends well with grapefruit, lavender, lemon, peppermint and rosemary essential oils. Popular usages include vapor rubs, inhalants, household cleaners, perfumes, massage oils, creams, lotions, astringents, mouthwash and insect repellents. It is widely known that the main healing property of eucalyptus essential oil is that of being a decongestant and expectorant, but it also known to have other beneficial health properties including being a natural insect repellent. It is a good source of nectar and pollen for honey bees!